Following his recent Paradise compilation on Hot Creations, label favourite Nathan Barato returns with a killer two track release, Freak Beater. Both big room tracks built around heavy basslines, tight vocal cuts and epic builds, Stomp Change and Freaks Of The Industry have been rocking dancefloors worldwide at the hands of label boss Jamie Jones. Making a name for himself in the Toronto after-hours circuit, Nathan Barato has since smashed international platforms across the globe, carving out a reputation as not only one of the most playable producers in dance music, but amongst its most prolific DJs as well. He’s graced the decks at some of the most notorious clubs and parties on the planet with highlights including Amnesia in Ibiza for Marco Carola’s Music On and for Jamie Jones and Paradise at DC10 where he holds residency. 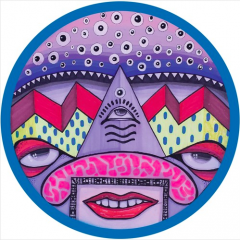 Barato’s string of highly successful releases can be found on the likes of Cajual, MOOD, Relief, Saved, Circus Records, Defected and of course Hot Creations making Barato one of the most hyped names in the industry.